If you are like me, you find most books about how to sell a little disappointing, if not downright off putting. Most remind me of the movies Glengarry Glen Ross, Wall Street or Boiler Room -all classics in their own way but not sources of great sales methodology, at least not for selling complex solutions like yours to as complicated businesses. What most “How to Sell” books seem to do is to convince you that if your sales team uses their template and applies it to every sales situation and is sufficiently pumped up, they will close more business. 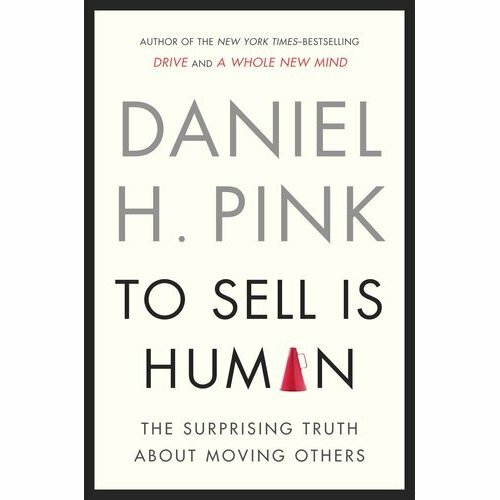 Daniel Pink, who is not in the sales business has written a book that is easy to read – you can get through it in a couple of evenings – and that is quite insightful. Let me give you an ultra brief summary. To Sell is Human makes three basic but important points. It’s true, we are all selling others all the time. We sell our spouses on where to vacation, our children on the need to do homework, our colleagues on new ideas, our bosses on why we deserve a pay raise. We all spend a good chunk of our waking hours persuading, educating or influencing others. All activities that salespeople excel at. Back in the day – say 15 years ago – the seller had all the information about the car, the travel package, the house or the insurance policy he was trying to sell you. That put you on the defensive and made you suspicious of his motives. Caveat Emptor. Today, buyers have instant access to as much information they need about a product that they are evaluating. Indeed, studies snow that enterprise buyers are more likely to engage a salesperson much later in their evaluation process and expect him use their time sparingly than they would have a few years ago. The sterotype of the salesperson is the hard driving garrulous extrovert; he just won’t shut up and won’t stop pursuing you until he makes his sale. Pink points out that in this new world where the buyer has all the information, where she can run much more detailed evaluations of products in the market and get much further along in the buying process before engaging a salesperson, the salesperson’s role has shifted to one of the diagnostician, consultant and advisor. Good listening skills, the ability to identify problems and articulate solutions are now essential selling skills. These are not skills that Alec Baldwin’s character in Glengarry Glen Ross gave a hoot about. But your salespeople need to. According to Pink, the ideal salesperson is someone who has a mix of intro and extro version, an ambivert. There is a lot more to Pink’s book than these three points but they are what stuck with me after taking a few evenings to read it. Now, none of this obviates the need for solid cold calling, tight presentation skills and the hunger to close deals and a compensation plan that drives this, but it is still very important to keep in mind.